yes, you read that right: Fleece. Pencil. Skirt. It’s a thing, and it’s awesome. I don’t have much of a post tutorial, but I did want to post about it so you know it’s possible! 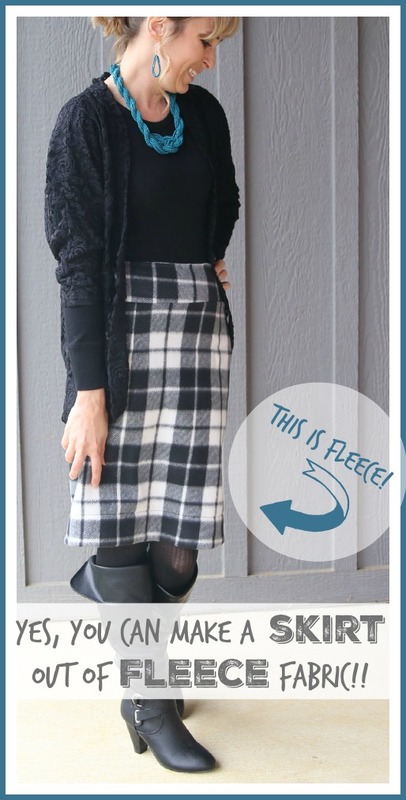 So yes, you can make a Fleece Pencil Skirt as a simple sewing project. There I was at JoAnn, loading up on their Black Friday fabric sale – fleece was $2 a yard, maybe $2.20? I can’t remember, but cheap. There are so many cute options! Most people make it into those blankets where you tie the edges. I grabbed some to make my kiddos bathrobes. Well, then I had Trevor ask them if they even wanted bathrobes (while waiting in line… cutting does take forever) and the boys didn’t. So I had this buffalo plaid in my cart, but then wasn’t going to use it… until my mom says that she thought it was for me to make a skirt. I had talked about making a buffalo plaid skirt, but that was different fabric… but then I thought, why not! I SHOULD try making it out of fleece. Then Sunday morning I decided I could just make it really quick. 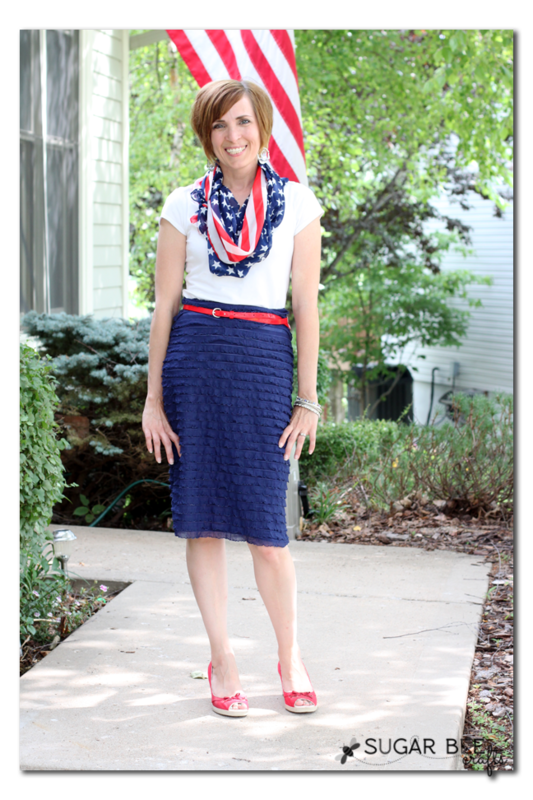 I used my go-to pencil skirt pattern that I made for myself. I did end up doing a yolk waistband and a zipper – fleece is a little stretchy, but I think you still need a zipper. Anyways, it came out great and it’s like I wore a blanket to church. Awesome! It does look super cute and comfy! Love it!